Do you know the tiny varieties? Most of the tinny cannabis plants are with hybrid strains that come from mixtures between sativa, indica and ruderalis. Of these three varieties the smallest one is indica, which is robust with dark green leaves. In some cases of “auto flowering tinny plants” possess the gen of auto flowering that provides a ruderalis variety, its growth and blooming is early, for this reason, these plant won’t be very tall. Be careful because some plants start to bloom in 27-30 days, in this period of time, most of them don’t achieve the 60 cm. It is true that not all tiny varieties are auto flowering, a lot of bank seeds have made an effort mixing hybrid marijuana plants with regular to create small sizes, auto flowering and a good cannabis heart production. Small marijuana plants, with compact branches and buds, with a fast flowering period and ideal for the interior and exterior cultivation in small places. The production is inferior because of its size and it needs a higher light exposition. Even though the inferior production, it has been popularized thanks of the comfortably and now is the favorite of the cultivators of the big cities. Introducing you the most famous 10 tiny marijuana varieties that can be a good fit to grow with H601-C. This plant has a height of 50-60cm. it comes from the mixture of varieties that come from Himalaya. Its aspect is compact and wide, and is ideal for the cultivation in small places. Even though its size, it produces huge hearts with pine smell, and regardless of the short blooming, it has a spectacular efficiency. This variety is a creation of Barney’s Farm. It is a feminized seed that comes from the Cachemira and Nepal. Its composition is most indica and blooms with only 8 weeks in the exterior. It has a production of 550 gr/m2 and the THC levels are of 22%. Thanks of these features have been prized with several cannabical awards. The effect that the indica varieties produce is a relaxing buzz that provides you a peace moment. Its pine smell is really powerful and calming. This marijuana plant measures from 30-60cm. Is a succeeding variety of Lowryder, a famous strain that became an emblem of The Joint Doctor bank. It is an auto flowering tiny plant which produces an improved performance and has a big stability. It produces big hearts regardless of its high, and is more aromatic than the original Lowryder. It is a skill that comes from the mixture of three generations of Lowryder. It is a hybrid indica/ original sativa from Brazil which has been mixed with three other generations. 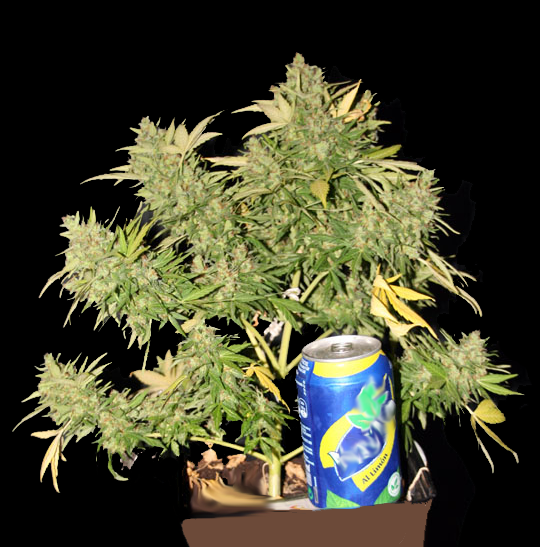 A feminized and auto flowering seed with a harvest of only 9 weeks. It doesn’t need big cares to bloom; it will mature fast with a natural light and outdoor. The smoke of this plant will make you fly. Its flavor is penetrating, you have to taste it! Don’t doubt! We could say that is like a bonsai, because is perfect for little spaces. This newness is from The Joint Doctor farm. We can say that is one of the fastest plants in the market. Its aspect is spectacular; it produces a dense mass of resinous flowers that are really compact. Its finding was thanks to an accidental pollination between Mazar and Lowryder # 2. Feminized seeds coming from the mixture between Indica, Sativa and Ruderalis. The harvest is 200 gr for m2 in only 8 weeks. Its index of THC is really high, 17%. Sweet aroma and sensational buzz. This plant is a show for the senses, cultivate it, observe it and smoke it later, like the beautiful Betty Boop. This marijuana strain variety is characterized by its small and discrete size. Is ideal for small places and it harvest in only 2 months. Is the result of the Buddha Seeds investigations and comes from the mixture of two powerful indica varieties. Its name is dedicated to Warhammer magazine fans, for this reason we can deduce that is a cannabis rarity, discrete and easy to hide as those players. Its natural resistance against plagues and the short cycle of growth make it perfect for inexperienced cultivators. This variety is feminized and auto flowering. With blooming and harvest periods of 2 months. It is ideal for the interior and exterior cultivations. It contains a fantastic 18% of THC. White Dwarf a penetrant aroma with a sweet flavor. Do you dare to play their role play? The plant is short because measures from 40-80cm. This variety is a mix obtained from the mixture of different and known plants with indica genetics. Is the most stable and compact cannabis strain fruit of the Fast Buds bank investigations which thanks of its adaptability, is perfect for novice cultivators. It is perfect for the lovers of Hash, since its aroma and flavor are really strong. Is a feminized strain, auto flowering that comes from the mixture between indica and Ruderalis. It was obtained during the mixture of Lowryder with G13 Hp. It blooms in only 8 weeks in the exterior, and regardless of its height, it has an optimal production of 400-500 g/m2. This plant is especially for a medicinal use. This marijuana variety is a wise choice for a medicinal use, it fights with anxiety, the muscle aches and helps those who have insomnia problems. 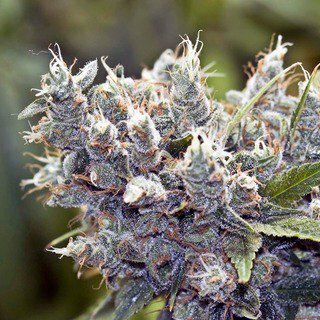 The Super Bud of the Green House Seeds bank seeds is an indica variety that has a really fast blooming. Is an excellent election to cultivate in small places because it doesn’t need big cares and can live in dryness areas. Thanks of its features, size and levels of production, is one of the favorite marijuana plants for the commercial production. It is an indica feminized seed that comes from the mixture between Bud and Skunk. It can Bloom in only 8 weeks and will be ready at late September in areas of the Northern Hemisphere with a production up to 1000 gr for plant. Its levels of THC are elevated, with an index of 17.33%. It has almost narcotic effects, for this reason is specially indicated for medicinal use. It can fight against the miss of appetite and the problems with getting to sleep. This variety of Bulk Seeds bank is the fruit of the mixture of the Afganas with Skunk genetics. It has a big efficiency and produces a 100% indica resin. 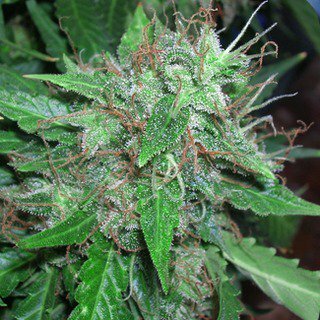 This cannabis strain doesn’t need big cares and will be ready in the medium of October, then is a good election for the novice cultivators that want to plant in spring in the North hemisphere. We can find this seed in its feminized and auto flowering version and the experts think that is ideal for the hydroponic cultivation. It blooms in only 8 weeks and can produce 400 gr/m2 of marijuana hearts. It has a 19% of THC. The adult plant of this variety is compact, short and seems a Christmas tree. It is underlined by its easy cultivation and excellent production. 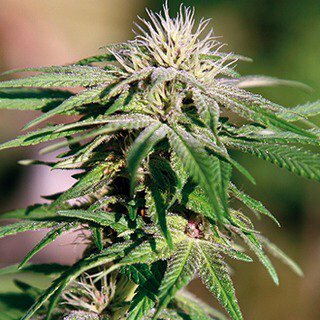 This marijuana plant is the fruit of the mixture between White Widow and SAD S1 seeds. Is ideal for novices cultivators or with shortly time because it doesn’t need big cares and is really resistant against plagues and changes of temperature. It is a feminized variety with 85% of THC. It comes from the mixture between White Widow and SAD S1 variety. It blooms in only 8 weeks and has a production 400-500 gr /m2. Is ideal for the interior, exterior and hydroponic cultivation, for this reason has been awarded with several cannabical cups. The flavor is exciting, since it has exotic hues terpenes. It is ideal to have a good time and disconnect of the routine, White Widow base will make you laugh, whereas SAD S1 will provide you a powerful buzz. This tinny plant is one of the favorites by the interior cultivators, since its proportion between the leaves and the hearts is really good. Almost all the modern interior varieties contain its gens for its resistance, its size and production levels. Its hearts are compact, and show exceptional resin levels. We can find this variety in different versions; regular, auto flowering and feminized. Its production oscillates between 400- 500 gr / m2, and is ideal to cultivate in the interior or in the exterior. It has an elevated level of THC, 20% more and less. Although it hasn’t a remarkable flavor because the terpenes aroma is really neutral, it has a lot of body. It has relaxing, purity and sobriety effects. This plant is the fruit of different experiences of the cultivators. Its origin is in the Indiana EE.UU. Its aroma and features have made it famous thanks to the chewing gum smell, from here its name. The cultivators adore it thanks to its sweet aroma. It is a feminized variety fruit of the mixture between Sativa and indica, but with bigger indica presence. It normally doesn’t achieve more than 80cm, and then is ideal for interior cultivations. It blooms with only 8 weeks and has high production levels. Its chewing gum aroma is unmistakable; its taste is really sweet and the buzz produces an euphoria difficult to forget.